New research, commissioned by functional ingredients manufacturer BENEO, shows that consumers pay more attention to what is inside the products they are buying, than to either the product’s description, or the brand name itself. 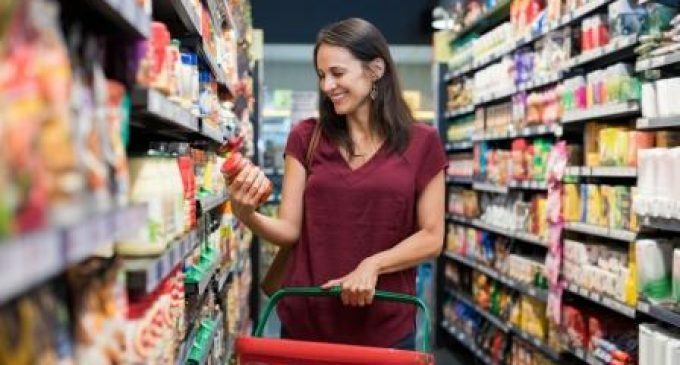 This highlights the drive by consumers to make healthier choices and shows the continued importance of manufacturers offering cleaner label, product alternatives in their portfolios. BENEO’s online quantitative clean label consumer survey was carried out with 3,000 consumers from the UK, Germany and the US and the research gives insights into shoppers’ product choices and their preferred ingredients when buying cleaner label products. The product description – 49% Total, 51% UK, 49% Germany, 46% USA (50% female, 47% male). Natural products – consumers want…. The drive to all things natural continues unabated and when consumers were asked what characteristics they expected from a natural product, 59% expected a natural product ‘to be healthy’ (54% Germany, 60% UK, 63% USA), 53% wanted it ‘to not be genetically modified’ (50% UK, 50% USA, 60% Germany) and 50% said it should ‘be a quality product’ (46% Germany, 53% UK, 52% USA). Also high on the list of expectations for a natural product were for it ‘to have a pure taste’ (44%), ‘be safe’ (40%) and for it ‘to be low in sugar’ (39%). This again demonstrates the importance of ingredient choice for manufacturers considering recipe reformulation. With the survey showing that consumers combine ‘natural’ and ‘healthy’ in their minds, it is no surprise that these phrases were strongly associated with rice. When the characteristics of key starch and flour ingredients (rice, corn, potato, tapioca and wheat) were compared, rice came out on top as ‘a cupboard ingredient’ (67%), ‘healthy’ (58%) and ‘easy to digest’ (51%). This again demonstrates the power of choosing ingredients for recipe reformulation that are known and that consumers associate positively with. With product descriptions seen as important by almost half of respondents, a variety of clean label claims were put to the test on the front of a tomato sauce. The most popular was ‘no preservatives/made with natural ingredients’, with 56% of consumers saying it showed that the product was natural and also that it had a clear, understandable label. The consumers were also shown three different lists of ingredients for a tomato sauce; one with modified corn starch, one containing rice starch and one with an E-number. 73% of consumers preferred the tomato sauce with rice starch, compared to just 19% with modified corn starch and 8% with an E-number. The results show that consumers clearly connect a natural product with one that is free from additives and artificial ingredients and they are also looking for clear, relevant claims on pack.